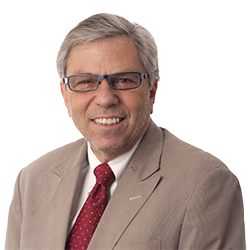 Allan G. King | Littler Mendelson P.C. In these efforts, Allan works closely with testifying and consulting experts in economics and statistics, and his experience as a labor economist permits him to identify the experts best suited to a particular matter. He also is equipped to effectively rebut opposing expert testimony and, in several cases, has filed successful Daubert motions attacking expert testimony. Allan also has extensive experience conducting pay equity audits for all types of employers, from start-ups to Fortune 50 companies, and helped develop the Littler Pay Equity Assessment™, including counseling employers on a broad range of state and federal issues related to pay equity, from compliance, to updating policies and job descriptions, to training managers and recruiters, and more. Allan is a frequent speaker on continuing legal education programs and has served as a member of Littler's Board of Directors. He is board certified in labor and employment law by the Texas Board of Legal Specialization. The Dukes 'Do-Over': The Substituted Opinion in Dukes v. Wal-Mart Stores, Inc. The Real Lessons of Ledbetter v. Goodyear Tire & Rubber Co., Inc.
Is the System Broke, or Are Brokers Gaming the System? Is the System Broke or Are Brokers Gaming the System? Is Occupational Segregation the Cause of the Flatter Experience – Earnings Profiles of Women? Equal Pay: What Do the Changes to the EEO-1 Report and State Pay Equity Legislation Mean for Employers? The EEOC’s Updated Criminal History Guidance, Strategic Plan and More — What Does This Mean for Your Company?